Siggraph 2018 Foundry Presentation by Paulino Shares His Mise en Place Method to Mari Texture Painting. 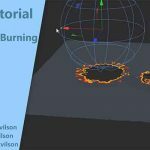 If you missed some of the Foundry’s presentations at the last Siggraph show, you should check out this one by Paul H. Paulino. Paul is a Texture Painter for Method Studios, and his presentation covered Mari workflows. The talk centers around what Paul calls a “mise en place” method of working with textures. The cooking technique that means “putting everything in its place” in French referred to the setup required before starting on actually cooking, organizing and arranging ingredients before you use them. Paul applies the same method to texture painting in Mari, getting together all his, so they are close at hand before actual work starts. Gathering everything you need extends a bit further than placing panels and tools, so they are more easily and readily accessible. It also involves having all your references, bakes and other elements at your fingertips.